For too long, through the most intimate acts of erasure, women have been silenced. Now, women everywhere are breaking through the limits placed on us by family, society, and tradition. To find our voices. To make space for ourselves in this world. Now is the moment to reclaim what was once lost, stolen, forsaken, or abandoned. I Am Yours is about my fight to protect and free my voice from those who have sought to silence me, for the sake of creating a world where all voices are welcome and respected. Because the voice, without intimacy, will atrophy. We’re in this together. You are mine, and I am yours. 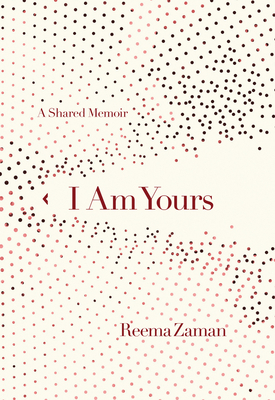 Reema Zaman is an award-winning author, speaker, and actress. She was born in Bangladesh, raised in Hawaii and Thailand, and presently lives in Oregon, United States. She is the Oregon Literary Arts’ Writer of Color Fellow, 2018. Her work has been featured in The New York Times, the "Dear Sugars" podcast, The Guardian, The Rumpus, Narratively, B*tch Magazine, SHAPE, VIDA Review, and elsewhere. She proudly partners with various organizations, like Girls Inc. and the International Rescue Committee, to empower diverse voices and mentor the next generation of leaders. Reema travels widely to speak and perform. Her body of work and events schedule can be found at reemazaman.com. For social media, as the only Reema Zaman in the world, she is easy to find.